The foundations of both Western and Eastern medicine lie not in science but in philosophy. ‘Philosophy’ is a word of Greek origin, and the Greek physician was above all a philosopher physician (iatrophilosophos). Hippocrates, the founder of Western medicine, regarded philosophical training as the essential foundation for training as a physician. In China and India, as in ancient Greece, philosophy was understood as the art, not only of thinking but of living – and therefore of fundamental importance to both individual and social health. Existential Medicine is ‘medicine beyond medicine’ – a philosophical antidote to the myths and false promises of modern ‘scientific’ medicine. It is also a radical philosophical challenge to the basic axioms of contemporary medicine in all its forms, whether orthodox or ‘alternative’. Today the word ‘medicine’ has come to denote a pluralistic world – a market in which a multiplicity of ‘medicines’ are on offer to the consumer. These include ‘complementary’ or ‘alternative’ medicine, ‘Western’ and ‘Chinese’ medicine, ‘allopathic’ and ‘homoeopathic’ medicine, ‘holistic’ medicine and ‘energy’ medicine etc. The supermarket of ‘therapies’ is even more richly stocked, including not only such staples as psychotherapy and physiotherapy, hypnotherapy and massage therapy, radiotherapy and chemotherapy, but an ever multiplying number of ‘alternative’ or ‘complementary’ therapies such as aromatherapy and colour therapy, aura therapy and electromagnetic therapy, even a ‘Multi Therapy’ to boot. How are we to understand this multiplicity of medicines and therapies? Though they compete commercially and often claim superiority over one another, are their assumptions and methods contradictory or truly ‘complementary’? How are we to judge which of the many ‘medicines’ is better, more effective or more appropriate for a given individual? Chinese or Western medicine? Homoeopathic or allopathic medicine? What indeed, distinguishes them in the first place? Here we face a central problem however. It does not confuse us to be surrounded by a variety of different birds because it is not difficult to say what a bird as such is. But amidst the multiplicity of medicines, the one question never asked is what medicine as such is or should be. If we look closely, we will find that despite their many differences, there is a common paradigm uniting all the different medicines – a shared set of axiomatic assumptions about what medicine as such is and should be. These axioms are not new; rather they are seemingly as old as mankind itself. They are rooted not just in the historical beginnings of different medical traditions but go back to their pre-history. Though not entirely universal or ubiquitous, they are axioms that have been shared in common by medicine men and women of all ages: tribal shamans and hospital surgeons, priests and physicians, GPs and complementary ‘practitioners’, spiritual healers and genetic scientists, global drug companies and local healing centres. Health and illness are opposites. Health is good. Illness is bad. The purpose of medicine is to heal illness. The role of the physician is either to alleviate the symptoms of illness or eliminate their causes. Life and death are opposites. Illness and death are not a natural part of life. 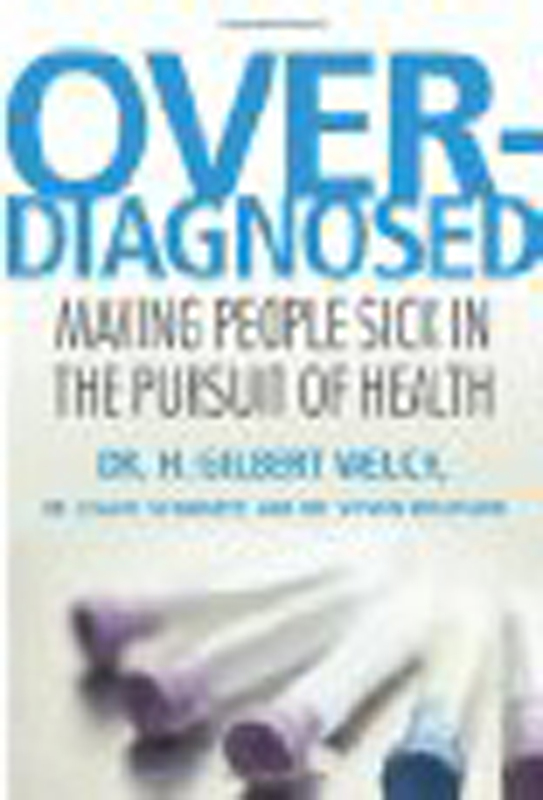 Illnesses necessarily get worse or lead to death if not treated. Together with the basic axioms of Medicine go a set of additional assumptions characteristic of what I call ‘Modern Medicine’. ‘Modern Medicine’ includes not only modern scientific medicine, but the whole range of contemporary medicines, including alternative and traditional medicines. Both alternative and complementary medicines seek to legitimise themselves in modern ‘scientific’ terms. They do so either by defining themselves in these terms (for example ‘energy medicine’) or by using modern scientific terminology to explain or prove the efficacy of their methods. The cause of all illness is some ‘thing’. Examples: microbes, genetic defects, mutant cells, ‘stress’, ‘energy imbalances’,’negative thoughts’, toxins, nutritional deficiencies, electro-smog etc. Human beings can themselves be reduced to some ‘thing’. Examples: DNA and genetic programming, neurotransmitters or neural networks, programming, ‘energy’ or ‘chi’, a character type, their upbringing or environment etc. The fact that a particular bacillus is always present with a particular illness does not prove that it causes the illness. Most major infectious diseases such as tuberculosis declined in the 19th century – due to improvements in wages and nutrition – and well before the germ theory of disease causation was invented and antibiotics discovered. Most cardiovascular diseases and cancers are not caused either by viruses or defective genes. Only rare diseases are clearly linked to defective genes. Yet no explanation exists for how these genes cause the diseases. The relation between genes and protein production is a two-way dialectical relation and not a relation of one-way causation. Illegitimate causal explanations are used to legitimise medicine. The ‘primitive’ or pre-modern explanation of illness as a result of possession by malign spirits has been replaced by the modern medical explanation of ‘possession’ by foreign bodies such as microbes, defective genes, mutant cells etc. We speak of ‘having’ or ‘getting’ an illness. Our dis-ease, however, is bound up with our sense of something ‘having us’ in its grip – possessing us. What threatens to possess us is seen as some ‘thing’. Hence we speak of there being ‘something’ wrong with us, or hoping “It” will go away. Everyday language of illness is still dominated by the metaphor of illness as ‘possession’. All medicine is essentially mind medicine. That is because every form of medicine is based essentially on a mental body of beliefs. Today the term ‘mind medicine’ refers to the use of positive thinking or NLP, hypnotherapy and meditation to alleviate stress, reduce anxiety, ‘strengthen’ the body’s immune system and overcome illnesses. But what all forms of medicine have in common as mind medicine is a core belief in the intrinsic ‘unhealthiness’ or badness of pain and discomfort, fear and anxiety, depression and despair, lack of harmony or a sense of ‘wholeness’ – indeed any state whatsoever that does not fit in with our mental ideal of health and well-being. Existential Medicine is also mind medicine, but mind medicine with a difference – rejecting this core belief. Existential Medicine is ‘medicine beyond medicine’. It challenges the basic metaphysical axioms of both pre-modern and modern medicine, orthodox and alternative medicine – in particular the assumption that illness is bad and that health and illness are opposites. It understands bodily and behavioural symptoms as warning signals of unsolved human problems not underlying medical problems, symbols of an inner dis-ease of the human being. If heeded, these signals can prevent the development of serious disease. If ‘treated’ and eliminated too quickly in the name of ‘preventative’ medicine the development of disease may be actually promoted. Biological medicine assumes that symptoms necessarily get worse if untreated. Existential Medicine argues that they only get worse if unheeded. The human being cannot be reduced to the human body. The human body is an embodied self – a living embodiment of the inner human being. The physical body as we perceive it from without is an outer manifestation of the phenomenal body – the body as we are aware of it from within. All diseases and disorders of the human body and mind are the manifestation of an inner dis-ease of the human being, experienced through the phenomenal body. Health is not an ideal state of well-being but a continuous process of expanding our identify and learning to embody more of who we are – our inner being. Illness and health are not opposites. Illness itself is a natural part of the health process, helping us to feel and identify with new aspects of our inner being. The Medical ParadigmThe body is a biological thing – an “It”. Health & illness are opposites. The aim of medicine is to cure or heal illness. Healing is war against bodily or behavioural disease. Healing means changing our bodies or brains in order to remove symptoms of disease. The body is an embodied self – a “Thou”. Illness is a natural part of the health process. The illness can be the healing cure. Healing is making peace with our bodily self. Healing means allowing our symptoms to change us, so that they are no longer needed as symbols of our dis-ease. Illness is a mental or physical state. The illness is the problem. The only significance of disease symptoms lies in their ’cause’. Mental and physical states express self-states. The illness is a symptom of the problem. Symptoms are significant as meaningful symbols of an inner dis-ease. Approaches to illness which understand bodily symptoms as warning signals of underlying human problems – symbols of an inner dis-ease – are rejected outright because they appear to ‘blame the patient’ for their disease. ‘Blaming’ implies that symptoms are something ‘bad’ in the first place, lacking any positive function or meaning for the patient. Heeding the body’s signals can prevent the transformation of inner dis-ease into bodily or behavioural disease. The medical maxim is to blame the body, to seek purely physical reasons for the symptoms and eliminate them. By eliminating its bodily or behavioural symptoms, the medicalisation of dis-ease can promote the development of more serious disease. The biomedical model of illness encourages the patient to blame their body and seek treatment for symptoms rather than heeding their message. The biomedical model of illness actively encourages patients to somatise or act out their dis-ease – to translate it into bodily disease or behavioural disorders – knowing that only in this way will they receive the care and attention they seek. The biomedical model of illness actively encourages the patient to dissociate themselves from their own body, to pathologise bodily feelings and sensations, to medicalise and medicate their symptoms. Modern medicine aims at the total medicalisation and medication of all human dis-ease – not to the primary benefit of the patients but to maintain and expand the health industry itself. The simplistic way in which medical science draws conclusions from ’empirical’ data can be well illustrated by brain research. A particular pattern of brain activity is associated with a particular disorder such as autism or Parkinson’s disease. It is claimed that the disease or disorder is ’caused’ by that pattern of brain activity. Mental events are identified with neural events. Drugs are designed to alter the ‘dysfunctional’ brain activity. The use of drugs to cure disorders by influencing brain activity is equivalent to dampening or removing particular strings of a piano or other instrument to prevent it playing the ‘wrong’ sort of music. As a result however, no music requiring these strings will sound the same. So-called ‘side effects’ – however strongly or weakly experienced – are therefore not accidental but an inevitable result of tampering with the brain, or with any organ of the human body. The assumption that it is brains or other organs that cause us to think, feel or behave in certain ways is equivalent to the assumption that it is organs or other musical instruments that cause certain pieces of music to be played. Blood pressure can be measured but not life pressures. Heart functioning can be measured but not loss of heart or heartbreak, heartlessness or disheartenment. The patient’s experience of dis-ease, in the form of pain or discomfort, emotional distress or depression, is not in itself anything measurable. Medical examination and diagnosis depend entirely on measurable aspects of the patient’s bodily functioning. Modern medicine is based on a fundamental blindness to immeasurable dimensions of bodyhood, reducing the patient’s inner awareness of their own body and their own dis-ease to a set of measurable diagnostic indices. The patient’s experience of dis-ease and the meaning it holds for them is the immeasurable dimension of medicine. But at the heart of modern medicine is an implicit new axiom – illness has no meaning. Genetics claims to decode the ‘book of life’ – but sees it as a book with no author, a text with no inner meaning beyond the arrangement of its letters and words. The axiom of no meaning runs directly contrary to human experience, for illnesses occur at particular times in our lives, affecting our lives in significant ways. Illnesses are also experienced in different ways by different people. Just as the same words and symbols express different meanings for different people, so do the same symptoms also embody different meanings for different people. That the human being is reducible to the human body and its genes. That the individual is reducible to their biology. That the health and behaviour of an individual can be predicted from their genetic make up. That “It’s all in the genes” i.e.. all behavioural and cultural differences, all social, economic and political inequalities, are reducible to differences in the genetic make-up of individuals. That molecular biology is a neutral science, rather than a new mythology and ideology, one whose core assumptions are themselves unproven and unprovable. The human body can be turned into an object of scientific examination – the human being cannot. We can no more find ‘evidence’ of the human being by analysis of the human body than we can find evidence of human meaning in a text by analysing its ink and paper, or the relationships between marks on a page. A text is the two-dimensional, material surface of a multi-dimensional world of meaning not susceptible to measurement. Genetics reduces the inner world of meaning in which each human being dwells to its three-dimensional, molecular text. Reading a book means entering its inner dimensions of meaning – not analysing its alphabet, vocabulary or grammar. Genetics identifies ‘reading’ the ‘book of life’ with analysing its genetic alphabet and vocabulary. Modern Biomedicine obtains its legitimacy from its supposedly ‘scientific’ basis. The basic models of medical science however, are based not so much on biological facts as on the use of ideological metaphors. These metaphors are then taken as literal facts. Genetics is based on the dominant metaphors of information technology and computer languages, treating DNA as an instructional code or language with its own letters and words. Immunology for example, is based on military metaphors of a body ‘fighting’ and ‘annihilating’ ‘foreign bodies’. Just as Hitler saw the Jews as a social cancer or bacillus infecting the Volk – so does immunology see all illness as the work of malignant ‘foreign bodies’ such as microbes, toxins, or ‘non-self’ cells. The medical ‘war’ against disease requires an enemy – the human body – an army of nurses, doctors and surgeons, a vast logistical network and administration, and an arms industry – the pharmaceutical and biotech corporations. In the United States the health industry as a whole is a 3 trillion dollar industry. The medicalisation of dis-ease goes hand in hand with the marketing of new drugs and therapies and the transformation of health into a purchasable commodity. The military metaphor extends beyond immunology – it is the all-embracing metaphor of modern medicine. This metaphor is rigorously defended under the banner of medical ‘science’ even though it is the founding metaphor of this science. The ‘war’ against disease is a war against all bodily and behaviourial expressions of social and psychological dis-ease. It is a war against the human body itself, understood as an embodied self – a living embodiment of the inner human being. In the topsy-turvy world of medical science it is not human beings but brains that think, brains that ’cause’ them to feel and act the way they do. Medical science reduces the human being to the human body and brain, and reduces the latter to its genetic ‘programming’. DNA is considered a molecular code of “instructions” for “making” a human being. In reducing the human being to the human body medicine turns reality on its head, attributing characteristics belonging essentially to beings (for example the capacity to think and communicate instructions) to material bodies in space and time. The piles of fused and stiffened corpses produced by the Nazi gas chambers are a potent symbol of what it means to reduce individual human beings to their bodies and reduce the latter to anonymous, dehumanised objects. Modern biological medicine is also inherently dehumanising in its approach: reducing the individual human being to a ‘case’ of some generic disease, separating the patient as a human being from their own bodies and brains, and denying any intrinsic individual meaning to their symptoms. The idea that we can use genetic engineering or gene therapies to eliminate undesirable bodily or behavioural traits is eugenic in principle. It assumes that a world without ‘abnormalities’ such as Down’s syndrome, blindness or the hearing of voices would be a healthier world rather than an emotionally and experientially poorer world. It assumes (in contradiction to its own Darwinist principles) that inherited abnormalities serve no positive function in human evolution – for example by providing a biological balance to dominant social concepts of health and normality. It also confuses changing socially-constructed concepts such as ‘intelligence’, ‘alcoholism’, ‘crime’, ‘depression’, ‘aggression’, ‘schizophrenia’ with unchanging biological structures. The implicit goal of genetic medicine is eugenic cleansing. This is the production of a race of genetically standardised human beings ideally fitted to the market economy. The creation of a genetic ‘superman’, perfectly immunised from all bodily or behavioural expression of inner dis-ease or distress. The ideal of a perfect bodily immunity from disease is the ideal of a perfect, self-possessed ego: one whose identity is completely immunised from anything it experiences as ‘other-than-self’. Just as immunology treats bodily identity as an unchanging given, so does the ego treat its mental identity as private property. Perfect immunity from disease means perfect immunity from life – from vital relatedness to others and otherness. The price of physical immortality is death to the inner life of the individual. Nazi ideology understood itself as applied biology. Nazism was based on a bio-medical model of social dis-ease, with the Jews and others regarded as a bacillus or cancer – foreign bodies damaging the health of the Volk. Biological medicine still explains illness as the product of hostile ‘foreign bodies’ such as viruses or mutated genes that need to be exterminated or weeded out in order to produce a cure. The Nazi state was the first to set as its aim the eradication of inherited diseases. The Nazi state was the first to introduce universal genetic testing through ‘health courts’ with the power to enforce sterilisation. Hitler did not impose an irrational racial-biological ideology on the medical profession. On the contrary he was persuaded by leading biologists and physicians such as Ernst Rudin that forced sterilisation and gas chambers were the only ‘rational solution’ to inherited disease and disability. The first gas chambers built were for the disabled and those considered mentally abnormal. They were the first human beings to be branded as sub-human: ‘lives not worth living’. The aim of genomic research, like that of the Nazi state is the eradication of inherited diseases and disabilities. Today it is not the state but private corporations that promote genetic testing and selection. 30% of US corporations already impose genetic testing. 7% select personnel according to the results of genetic testing. Genomic research has opened up a new market to exploit the fears of pregnant couples, encourage genetic testing and facilitate the termination of lives deemed ‘not worth living’. The fetish made of health and fitness in the media is itself a symptom of a fundamental sickness of society and serves the commodification and marketing of new health products. The medicalisation of human dis-ease and distress and the medical construction of new ‘diseases’ is the basis of medical profiteering and medical fascism. Medical profiteering is the transformation of human suffering into an ever-more profitable market for the corporate health industry. Medical fascism is the organised promotion and/or enforcement of pharmaceutical, behavioural and genetic ‘therapies’ for disease and disorders irrespective of the underlying dis-ease they express. There is not much difference whether a human being is looked on as a ‘case’ or as a number to be tattooed on the arm. Medical treatment itself is one of the largest single medical causes of death after heart disease, stroke and cancer, causing over one third of all deaths in the United States. The life-expectancy of untreated cancer patients is over nine years longer than those who are medically treated with chemotherapy and radiotherapy. Vaccination is a major cause of immune malfunctioning. Psychiatric and mental health services are the largest organised dealers of addictive and brain-damaging drugs. In 60-90% of cases placebos are equally or more effective than pharmaceutical medications yet without their side-effects. The major global cause of death is starvation not disease. The major global cause of disease is poverty, malnutrition and economic exploitation. To humanise medicine means far more than offering better ‘care’ and respecting patient’s choices, needs and rights. It means challenging the basic models and metaphors of medical ‘science’ itself, and together with these, our most basic assumptions about the nature of health and illness, life and death, the human body and the human being. These models, metaphors and assumptions have become the accepted and unquestioned paradigm of what medicine is. They have thereby attained the status of modern myths. The humanisation of medicine can only be achieved by challenging these myths and developing a new post-modern and post-Holocaust paradigm – a humanistic and meta-medical paradigm. Existential Medicine has its origins in the work of the German philosopher Martin Heidegger – perhaps the most profound thinker of our age. Between 1959 and 1972 the Swiss psychiatrist Medard Boss organised a series of informal dialogues between Heidegger and a circle of other physicians and psychiatrists. These dialogues became known as the Zollikon Seminars. Their aim was to enlist Heidegger’s help in questioning the basic assumptions of the modern medical-scientific understanding of the human body and its relation to the human being. It was Heidegger’s hope that in this way too his way of thinking would “escape the confines of the philosopher’s study and become of benefit to wider circles, in particular to a large number of suffering human beings”. Genetic science has become a new medical religion. This is a pseudo-scientific religion and a pseudo-religious science, a type of ‘scientology’. It treats the flesh as ‘word’ and seeks to decode the ‘book of life’ – yet treats it as a text without an author. The biotech labs are its corporate-funded temples. Gene technologists are its stock-holding high-priests. The human genome is its new biological Gospel. The media are the messengers of its Good News. Its false promise – salvation from all disease. Its false ideal – to banish all bodily and behavioural expressions of human distress and dis-ease. Its true agenda – to profit from eugenic medicine. The hidden metaphysical basis of biological and genetic medicine is bio-ontology. We are our bodies. The human being is reducible to the human body. Human awareness is a by-product of the human body. The human body is a biological machine or computer. All bodily and behavioural disease is the result of disorders of the human body and its genetic programming. Heidegger reversed the fundamental metaphysical assumptions of bio-ontology – the reduction of the human being to the human body. Instead he understood the human body itself in an onto-biological way – as a living embodiment of the human being. Only through onto-biology can a post-Holocaust medicine escape the grip of biological reductionism. The human being is not a manufactured product of their genes. Human awareness is not a by-product of physiological or neurological processes occurring in their bodies and brains. Human feelings and thoughts are not an an ‘effect’ of their hormones and neurochemistry. It is with our hands that WE feel. A severed hand no longer feels, not only because it is severed from the body and brain but because it is severed from the human being who feels with it. We do not hear because we have ears, see because we have eyes, think because we have brains. We have ears because WE hear, eyes because WE see, brains because WE think. It is not bodies and brains but beings that see and hear, think and feel, breathe and metabolise etc. Health is the ‘normal’ and efficient functioning of the human body and brain. Health is a state of continuous and stable well-being. “It’s all in the genes”. Health is non-defective DNA. Health is fulfilment of the human being in relating to others and to the world. Health is a continuous process of change or metamorphosis through which we embody more of who we are – our inner being. The biological potentials coded in our genes are the embodiment of our ontological genes – our innermost values and potentials of being. Heidegger anticipated the importance that genetic explanation would play in modern medicine, but questioned the very foundations of the medical mode of explaining illness. 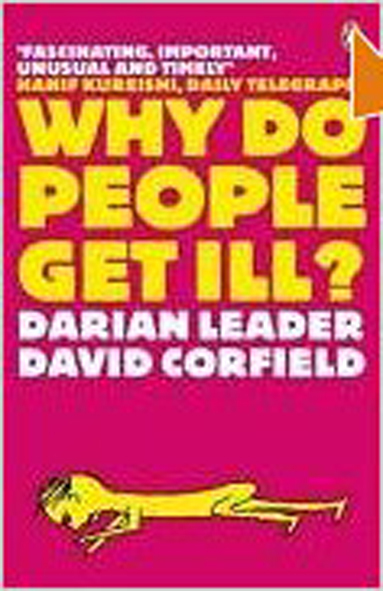 The central question of scientific medicine is what ’causes’ an illness and how to ‘cure’ it. The central question addressed by Existential Medicine is what that illness is. Reducing a spoken utterance to a set of words or sounds does not explain what the sentence is – does not explain the utterance as an utterance, as an expression of meaning. Similarly, reducing an illness to a set of physiological signs and dysfunctions does not explain the illness as an illness – does not describe the essence of the patient’s dis-ease and the meaning it holds for them. To ask what causes something we must first of all ask what it is exactly we are looking for the cause of. Illnesses do not come out of the blue. But this does not mean they are explainable by a single ’cause’ or a set of causal ‘factors’. Existential Medicine replaces the ’cause-effect’ model of explanation with a text-context model. Individuals get ill at specific times in their lives within specific life-contexts. To understand an utterance means understanding it as a text within a context. To read the nature of a person’s symptoms means understanding them in their biographical and existential context. Existential Medicine is phenomenological medicine – based on phenomenological science rather than physical science. Physical science is based on a belief in the miraculous emergence of awareness from an otherwise non-aware universe of things. It believes that human awareness can be explained by particular phenomena within our field of awareness – for example the physical body or brain. Physics tries to explain how things ’emerge’ or ‘arise’ (the meaning of the Greek verb phuein) but does not recognise things as phenomena emerging or arising within a field of awareness. But the known universe is only the universe of our present human awareness. The focus of phenomenological science is not things as such but our awareness of those things as phenomena in our field of awareness. Its basis is the understanding that a field of awareness cannot be explained by any phenomenon or phenomena manifesting within that field. Awareness is always awareness of ourselves in relation to someone or something other-than-self. This relation is first of all a felt relation. Our awareness field is an awareness ‘feeld’. Illness begins with a sense of dis-ease: an awareness that we do not ‘feel ourselves’ but rather that our bodies and minds feel in some way ‘other’, ‘alien’ or ‘foreign’ to us. Disease results from a failure to identify with and incorporate ‘foreign’ feelings in our own felt sense of self – our felt self. Medicine seeks the causes of illness in ‘foreign bodies’ such as microorganisms rather than in foreign feelings. The physical body is never the ‘same’ from one moment to the next. It constantly recreates itself by assimilating elements that are other-than-self (for example nutrients, air and water). The embodied self is also never the ‘same’. It constantly recreates itself by assimilating foreign feelings – elements that it experiences as other-than-self in its field of awareness. Medical immunology is based on the metaphor of a body self with a genetically programmed molecular identity that causes it to reject all ‘non-self’ or ‘foreign’ bodies. Mental Immunology is based on the metaphor of an embodied self which maintains itself by assimilating and incorporating otherness and thereby expanding its identity. Awareness is a felt relation to something or someone in our field or ‘feeld’ of awareness. When we say “I feel cold” or “I feel hot” we imply that the “I” is the same “I” in both cases, an ego or subject immune from its predicates. The felt self is a feeling self. It is not a detached “I” that “feels” cold. It is the feeling of coldness. The ego or mental self uses language to identify a feeling as one of ‘coldness’ and to identify ‘reasons’ for feeling cold. The bodily or felt self is identified with the feeling of coldness. The ego is an “I” which mentally and linguistically immunises itself from what it feels, allowing us to separate how or what we feel at any given time from how we feel – our felt sense of self. If we feel someone’s face with our hand, what it feels like to our touch, the feeling we have of it depends on the way we touch it – on how we feel it. When we talk of ‘feelings’ we employ a tactile metaphor derived from the physical activity of feeling something that we touch. ‘Feeling’ is essentially an activity – a verb rather than a noun. Our feelings (plural noun) register our activity of feeling (verb) in the same way that tactile sensations register our way of touching. We can feel another human being without touching their body. Conversely, we can touch someone’s body without feeling the human being whose embodiment it is. The felt self is not the mental ego that ‘has’ feelings (plural), and turns these feelings into internal psychological objects. It is the feeling self – the self that (actively) ‘feels out’ its environment through a type of resonant inner touch. In feeling something physically with our hands we feel our hands too. Touch is mutual contact. Similarly, in feeling out other entities in our environment, our feeling self feels itself too – we gain a felt sense of self. A severed hand feels nothing, not just because it is detached from the rest of the body but because it is no longer the hand of a feeling being. A person’s way of physically touching and feeling something or someone itself is an expression of their way of inwardly feeling that thing or person – their felt inner relation to it. The mind not only affects the body’s immune system. It functions as an immune system itself. The physical immune system is the body’s demarcation of ‘self’ and ‘not-self’ cells and organisms. The mental immune system is the mind’s demarcation of ‘familiar’ and ‘foreign’, ‘self’ and ‘not-self’ elements in our field of awareness. Where the ego rejects too firmly or forcibly all foreign elements in the individual’s self-awareness, their felt self cannot grow and expand and thus their bodily sense of self is weakened. Rigidity of ego-identity and over-activity of the mental immune system is responsible for over-activity of the bodily immune system. But it also brings about the eventual weakening and collapse of mental immune defences and with it, a weakening of the body’s immune system itself – or vice versa. Illness and identity are intimately related. Separating them leads to an artificial separation between psychotherapies focused on the individual’s identity (their self-image, self-esteem and self-structure) and medicine with its focus on illness. But illness itself is acknowledged to be linked with threats to identity, for example those resulting from loss or social insecurity. Illness itself is often experienced as a loss of or threat to identity or taken on as an identity. Illnesses can serve as a defense against expansion of individual identity or express identity conflicts and splits. Parts of the body can come to embody split-off identities no less than abnormal behaviours. Different illnesses are reflections of current models of identity (for example, anorexia and the bodily dimension of gender identity). So long as dis-ease in all its manifestations – from pain and discomfort or debilitation to depression and despair – is regarded as intrinsically bad or ‘negative’, we negate the self that feels debilitated or depressed, in pain or despair. So-called ‘negative’ thoughts, emotions or physical sensations are thoughts, emotions or sensations that we negate – fighting or fleeing them in order not to have to feel them and feel the selves they express. The essence of human dis-ease and thus the essential cause of all disease is our dis-identification from these selves and from the felt and feeling self as such. In accord with its self-image the ego accepts certain feelings as part of its identity and rejects all others as ‘not self’ – as threats to its identity. In doing so it restricts its own necessary growth or expansion of identity. The essence of human dis-ease and thus the cause of all disease is a self-limitation of individual identity, and the futile attempt to maintain an unchanging identity or attain an ideal one. The words pathology, pathogenic, sympathy, empathy and telepathy, all stem from the Greek pathein – to feel intensely. Pathos is another word for felt sense or felt dis-ease. Medicine has traditionally defined healing as the ‘cure’ of disease ‘pathology’, or at least the control of its symptoms – helping the patient to feel them less intensely. The medicalisation of dis-ease is based on the ‘pathologisation’ of feeling or pathos. 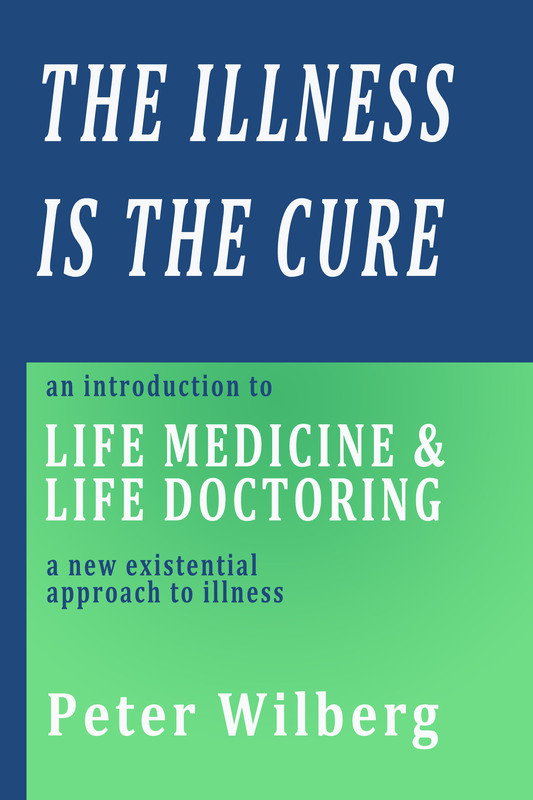 Existential Medicine understands illness itself as the healing ‘cure’: helping us to recontact our felt bodily sense of self, to feel more of ourselves and thus ‘heal’, i.e. become more whole. Healing comes from allowing ourselves to feel symptoms more intensely not less – from pathos and pathein and not from cure or control of disease ‘pathology’. Modern Medicine is based on the idea of a onefold self (the ego or mental self) which has to cope with and control an unreliable body or an unruly unconscious. Existential Medicine is based on the model of a threefold self: the ego or mental self, the bodily or felt self, and an inner or core self, the very self that bodies and that minds. The basic pathology of our age is a culturally reinforced separation between the mental or thought self on the one hand and the other two selves – the bodily or felt self, and the inner self. The inner self is the inner source of both the mental and body self. It is the very self that thinks and feels, bodies and minds. The inner self is not a self that guards its identity like the mental self, nor is it a self identified with what it feels like the body self. It is the self that is able to identify selectively and at will – with particular thoughts and feelings, words and deeds, things and people. A fish is a part of the ocean it lives in and an individualised expression of the life of that ocean – a fishly form of the ocean as a whole. The fish as an organism is also distinct from the oceanic environment around it and from the other fishes within that environment. Different types of fish both perceive and respond differently to the ocean, dwelling in and shaping their own oceanic environments. The inner self can be compared to the ocean’s individualised awareness of itself in the form of a given fish. The organism or body self can be compared to the fish’s awareness of itself as a part of the ocean – intimately connected through it to other oceanic life forms. The ego can be compared to the fish’s awareness of itself as a being separate and apart from other oceanic life forms. The aim of Existential Medicine is not the cure of a patient’s symptoms at the expense of their growth and self-development. Its aim is the maturation of the patient as a self – one that then allows them to dispense with their symptoms. Maturation of the self does not mean maturation of the ego alone, but maturation of the self as a whole – the threefold self. The ‘individual’ or ‘whole self’ is an in-divisible unity of three inseparable but nevertheless distinct selves. Illness is essentially the expression of a loss of distinction or a separation and loss of unity between the three selves. Health is an awareness of ourselves as threefold selves and the capacity to relate to others with and from our own whole self – that is to say, from each and all of our threefold selves. Marx identified the essential sickness of market economies: the alienation of labour. Labour is alienated when it generates economic value without fulfilling the worker’s human value – their individual human potentials. To be alienated from one’s labour (manual or mental) is to be alienated from one’s own mind or body, and to suffer the mental and physical effects of this alienation. Capitalism defines health as the capacity to function and perform well as an employee – to generate economic value. Marx understood health not as economic value generation but as individual value fulfillment – the fulfillment of individual human potentials within society. Medicine treats stress as if it were some ‘thing’ that ’causes’ or contributes to ill-health, rather than as an expression of social relationships. Talk of ‘stress-related’ illness hides the social dimension of sickness – the sickness of capitalist social relationships. Marx saw that in capitalist society relationships between people become dominated by relationships between things. The human qualities that people embody in their relationships and materialise in their labour are valued only as things: as commodities. Commodity relations – “the market” – become the sole criteria for valuing human labour, human qualities and human potentials. As a result, the pursuit of quantitative economic value and the need to earn a living replace qualitative value fulfillment and quality of life. Unemployment is known to be a ‘stress factor’ affecting health but capitalism makes no distinction between quantitative and qualitative unemployment. Employment is defined as having a job and earning a living through it rather than fulfilling one’s human potentials and increasing one’s quality of life through one’s labour. Full qualitative employment means the full employment of human potentials and proper valuation of human qualities people embody in their work. Positive quantitative employment levels can hide qualitative unemployment – a failure to fully employ human potentials. In the market economy a poor-quality manager can earn many times as much as a high-quality nurse or teacher. Earnings depend primarily on the market value of labour and only secondarily on the human qualities invested in it. Labour-time is measured primarily by its quantity (working hours) and only secondarily by its quality – the qualitative ‘depth’ of the time that a person invests in their work. ‘Stress’ is a result of time poverty caused by time exploitation. Time exploitation is the difference between the quantity and quality of time a person gives to their labour over a given period, and the quantity and quality of time that their job affords them for ‘recreation’ i.e. to recreate and renew the human qualities they put into their labour. Time exploitation is the ‘stress’ that leads to ill-health. to compensate for the sickness of capitalist social relations. to medicalise and medicate all human dis-ease and distress. to maintain or boost the superficial health of the labour force i.e. its functionality and performance. to mop up unwanted effects of exploitation such as family breakdown, mental illness, child and drug abuse. to make sure that both material poverty and time poverty do not lead to a total breakdown of society. to thereby make up for a lack of deep health – value fulfillment. to provide human raw materials for medical research and a vast market of consumers for the corporate health industry. to transform health into a commodity and promote drugs and other health products irrespective of their dangers and debilitating side-effects. to use ‘scientific’ myth to legitimise itself , offer false hope to sufferers, and at the same time promote the health paranoia necessary to ensue continued dependency by patients on medical authority. When we feel unwell we ask what is ‘wrong’ with us and attempt to identify what ‘it’ is. We may worry about what we are ‘getting’: already interpreting our symptoms as signs of possible medical conditions. We are aware of how we feel and of ‘not feeling ourselves’ but we do not ask ourselves how we feel – what self we are feeling. Our focus is not on our felt sense of self but only on the sensations we feel. Turning our sensations into mental objects of concern or worry we dissociate ourselves from our bodies whilst at the same time feeling ourselves to be passive victims of them. Our own mental and medical interpretation of “it” in turn actively influences our somatic subconscious, directing the physical body to manifest our dis-ease physically as a recognisable disease. Believing that ‘it’ will get worse unless we do something about it we seek medical help in getting rid of ‘it” – like the child who wants mummy to make ‘it’ better. The physician listens with his medical mind and turns the patient’s symptoms into a clinical object. In this way he mentally immunises himself from his own felt, bodily sense of the patient’s dis-ease. Instead he uses the patient’s presentation to diagnose a medical disease or disorder. This means identifying possible ’causes’ of the patient’s symptoms and incorporating them into his mental body of medical knowledge. Medical diagnosis is a process of identification and incorporation of the patient’s body into the physician’s mental immune system. The physician treats the patient’s symptoms as the expression of some-thing – separating the patient as some-body from the patient as ‘some-one’ – a unique individual human being. In so doing, he encourages the patient to adopt or maintain an I-It relation to their own symptoms and to their own bodily self. As merely some-body the patient could, in medical terms, be any-body and is thus effectively nobody for the physician – no matter how personally concerned and sympathetic to the patient he is. In the I-It mode we relate to things and people as objects. In the I-You mode we relate to them as beings. In the I-It mode we relate to everything we are aware of as a localised object or It separate and apart from ourselves. We experience the self as a localised subject or “I” separate and apart from its objects. In the I-Thou mode, on the other hand, we feel linked to other beings through an inter-subjective field of awareness and experience both things and people, self and other as a part of this field. According to Buber “The sicknesses of the soul are sicknesses of relation”. The same can be said of sicknesses of the body. Modern medicine is based on an I-It relation to the human body, turning it into an object of clinical diagnosis and treatment. The physician can relate to the body of the patient either in a clinical way (as an It) or in an attuned way (as a Thou). The patient’s body as external object of perception independent of the physician as perceiving subject, and containing or concealing the patient as a human being. the patient’s body as outer manifestation in the physician’s field of awareness of their inter-subjective attunement to the patient as a human being. Our understanding of the relationships between things and between people depends on our relationship to them. Medical knowledge is knowledge of or about the body, of or about a patient, based only on a superficial external relationship to them. A deeper understanding of the body or of a patient can only come about through a deepened relationship to them. This deeper knowing or gnosis is not simply knowledge of or about something, of or about someone. The Greek word ‘gnosis’ referred not to indirect knowledge: knowing something about someone, but to direct knowledge: knowing them. Diagnosis: using knowledge of or about a patient and the manifestations of a patient’s dis-ease (their symptoms and their body) in order to get to know more about ‘It’ – the disorder affecting their body or mind. Dia-gnosis: relating to a ‘Thou’ (the patient) in such a way as to get to know them inwardly (gnosis) and to understand their inner dis-ease through (dia-) its outer manifestations. Despite advances in the psychoanalytic understanding of somatic disorders, the medical model still retains its scientific and institutional authority – an authority still deferred to by many psychotherapists. Both psychoanalysis and psychotherapy have largely kept within the boundaries set for them by institutional medicine, tolerated on condition that they mount no direct challenge to the medical model and the authority of the physician. The medical establishment is ready at any time to question and put in doubt the scientific credentials of psychoanalysis and psychotherapy, but stubbornly refuses to question its own scientific foundations. GP’s acknowledge that the majority of their patients present with psychosomatic problems, yet though they claim professional authority, they are themselves completely lacking in the professional training necessary to perceive and respond to the immeasurable, subconscious and symbolic dimensions of somatic disorders. Just as physicians are not trained to deal with the psychological dimension of somatic disorders, so is the psychotherapist not trained to recognise and respond to the somatic dimension of psychological distress. Both physical and mental illness result from a primary dissociation of thinking and feeling, the mental self and the bodily self, ego identity and subconscious, somatic identities. The face that the patient ‘presents’ to the physician and the client to the therapist is marked by a primary absence – a dissociation of the individual’s mind and ego from their felt, bodily sense of self, or a dissociation of their bodily states and somatic experience from self-states and somatic self-experience. In the contemporary psychoanalytic model of somatic disorders, ‘somatisation’ is seen as a failure of symbolisation, and understood through the concept of alexithymia. Alexithymia is defined as an inability to cognitively process feelings by expressing them in words. Instead they are ‘somatised’ – experienced in a purely somatic way and expressed symbolically through somatic symptoms. But the inability to be mindful of feelings, to process them mentally and express them in words, is itself inseparable from an inability to experience, process and express those feelings in a bodily way – to body them. The concept of ‘alexithymia’ goes together with the concepts of ’emotional literacy’ and ’emotional intelligence’. All three concepts focus on the individual’s emotional vocabulary, their ability to give expression to feelings through verbal language and communicate them through verbal description. All three concepts also ignore the range and scope of the individual’s body language itself – their ability to expressively embody what they feel and communicate it through their bodily demeanour. The emotional honesty, depth and diversity of a person’s verbal communication depends not only on the type of verbal communication to which they have been exposed as children or adults but also on the emotional honesty, depth and diversity of the non-verbal communication they experienced in the family, at school and at work. Verbal-emotional ‘literacy’ however, depends primarily on the emotional depth and diversity of the pre-verbal communication they experienced in their earliest relationship, the bodily communication of mother and ‘in-fant’ (‘non-speaker’) through touch, eye-contact, facial language and pre-verbal ‘babytalk’. All awareness is awareness of ourselves in relation to something or someone other-than-self. This relation in turn brings about changes in our felt sense of self. Our awareness of events, things and people alters our self-awareness as we experience ourselves in their light. In the illness process, a change or difference in our self-awareness gives rise to a feeling of dis-ease. The sense of foreignness or otherness that we experience is rejected as a threat to ego-identity and to our mental self-image. Instead of identifying in a bodily way with our felt sense of dis-ease, we mentally dis-identify from it. Instead of bodying our felt sense of dis-ease, expressing it in a bodily way, feeling it more intensely and sensing the self it expresses – we ‘somatise’ it, treating it as something wrong with our bodies or something ‘wrong’ with ‘us’. We focus on “It” — our symptoms – and try to identify “It” – their ’cause’, and then seek to alleviate or eliminate them – to find a ‘cure’. The health process is a metamorphic process of becoming more whole – expanding our identity or felt sense of self to include new aspects of ourselves. The metamorphic process is a metabolic, a metaphoric and a maieutic process (from the Greek maieuesthai – to act as a midwife). The metabolic process is the process by which we digest and metabolise our experience, allowing WHAT we experience to alter our felt sense of self – of WHO we are. The metaphoric process is the process by which we give bodily and behaviourial form and expression to changes in our felt sense of self, finding ways to embody and express them. The maieutic process is a process of acting as midwives to ourselves, giving birth to pregnant aspects of ourselves. Deep healing involves not only feeling oneself again – recovering one’s previous sense of self but discovering a new and larger sense of self – becoming more whole. Existential Medicine opposes the military metaphor of scientific medicine with a maieutic metaphor. This is the understanding of illness as midwife to health, helping us give birth to new and hitherto pregnant aspects of ourselves. Pregnancy is not an illness but illness is a form of pregnancy. When we are ill we are pregnant with a new sense of self. Our symptoms are signs of this pregnancy. Using medicine to ‘successfully’ eliminate symptoms and ‘cure’ disease is equivalent to artificially terminating the pregnancy. Just as birth can be painful so can illness. Just as pregnancy can lead to miscarriage, complications or even death, so can illness. Medical treatment itself contributes to the complication of illness and pregnancy. The human organism is not the physical body but the pre-physical womb or matrix from which we constantly in-form our physical bodies. As human beings we continue to dwell and grow in our own organism in the same way that we dwelled in our mother’s womb. The human organism is also the womb from which the human being is psychically re-born at death. Birth and death are not opposites. For every human being, physical death is a life-necessity for the survival and further maturation of the self when it has outgrown physical existence. No form of medicine should have as its fundamental aim the prevention of death, or the slowing down of the aging process. Death through disease is one way of dying or one way of healing, ensuring the survival and expansion of the self. The aging process is the maturation of the self and psyche – a form of gestation which prepares the organism and physical body to release the self and psyche into a new life. not feeling ourselves – feeling ‘infected’ by something or someone other-than-self. focussing on and following our felt sense of the otherness we experience, intensifying and identifying with it. incorporating the felt self – finding ways to embody and express it. feeling ‘one-self’ again – but changed. In the illness process elements of otherness in our self-experience which give rise to a sense of dis-ease are not incorporated into our sense of self but rejected as a threat to our ego-identity and self-image. The dis-ease is instead ‘somatised’ – incorporated by the body as a disease. The body is an embodied self. Every mental and physical state is at the same time a mode of self-awareness – the expression of a felt self. Every symptom is a symbol of a felt self or selves. To heal ourselves means to allow ourselves to feel ourselves in a new way – to affirm and identify with these other selves. The application of Existential Medicine involves shifting the focus of our awareness from sickness to the self: from illness to identity, from disease to dis-ease, from ‘treating’ to feeling. From ‘how you feel’ to how you feel. From ‘what you feel’ to who you feel – which you. From felt bodily sensations or mental disturbances to your felt sense of self and the felt self expressed in your symptoms. From fight-flight reactions aimed at alleviating symptoms to a decision to follow and feel your symptoms more intensely. From attempts to identify diseases to a greater identification with your experienced dis-ease. From using medication or meditation to change and ‘heal’ your body to letting it change you and make you more whole. (a) reacting from it, and exhausting it through ‘acting out’. (b) representing it in words and evacuating it in speech. A felt feeling is not the same thing as a thought feeling – a feeling that is mentally reflected on and processed, labelled or interpreted. A felt feeling is not the same thing as a felt thought – a thought that evokes or induces a particular emotion. Felt feelings are feelings that are felt and given form with one’s whole body in the same way that moods are – through one’s overall bearing, one’s countenance and demeanour. Bearing a feeling is not the same as suffering it. We suffer feelings that we find un-bearable; feelings that we are unable to bear in a bodily way and to body through our physical comportment or bearing. Bearing a feeling means not doing anything with it save letting it be – ‘carrying’ and ‘containing’ it in a bodily way. Bodying a feeling means not doing anything with a feeling save letting it body – take form and communicate itself through one’s overall physical comportment or bearing. Bearing and bodying feelings means allowing them to be and experiencing them as felt and embodied states of being.